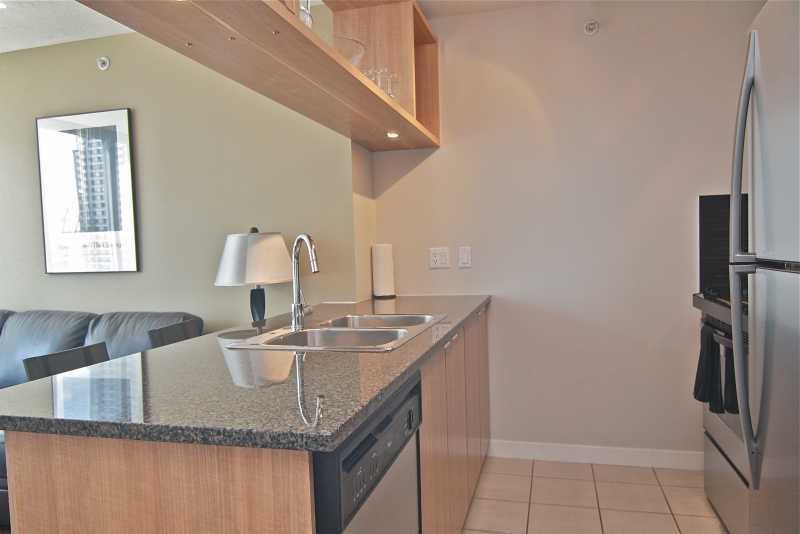 Richards Mews is a clean, bright, one bedroom apartment in the heart of the trendy Yaletown district of downtown Vancouver BC. The main bedroom has an extremely comfortable pillow top queen size bed with down comforter and the room boasts a large walk-in closet. 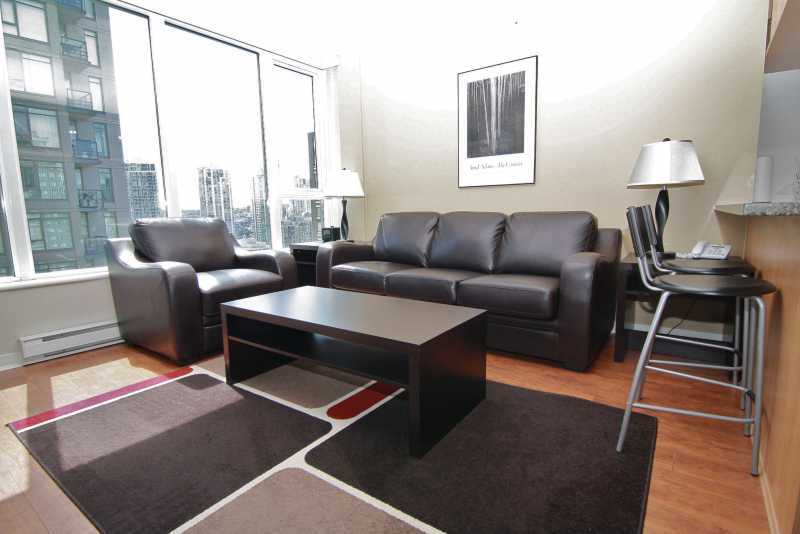 The couch in the living room converts to a double bed, ideal for extra guests. The living area features cable TV with a large flat screen television, a DVD player and high speed wireless internet access. The bedroom also has a small television. 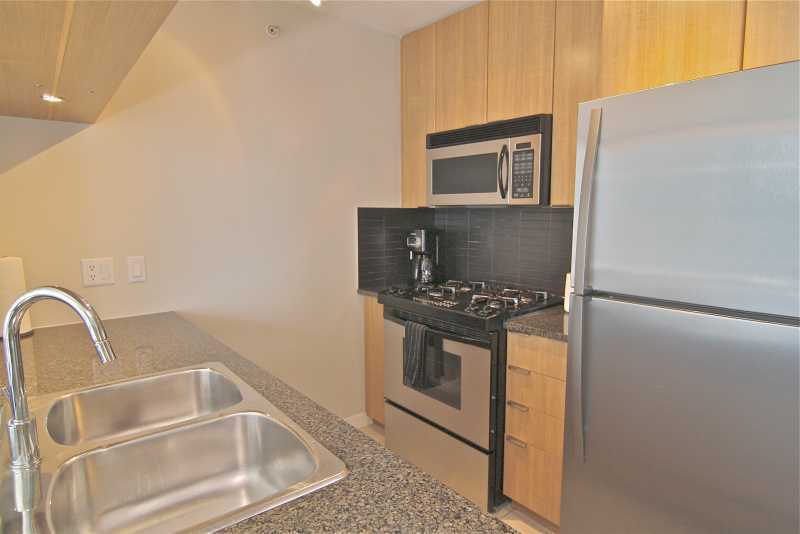 The fully equipped kitchen has a gas range, granite counter tops and high end pots and pans for the enthusiastic cook. 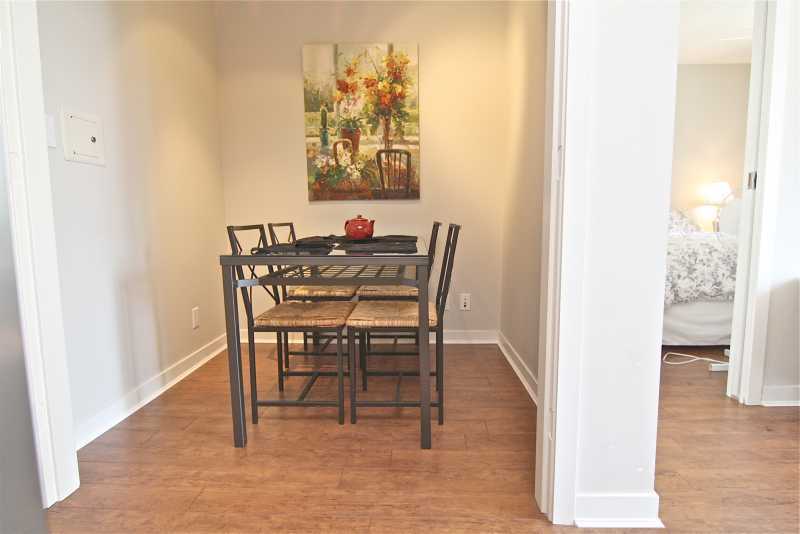 There is also a small dining area where you can enjoy your culinary creations. The unit is located in a well appointed, high security building which includes an exercise room, a common room with a pool table, a hot tub in the garden area, and your own parking stall. 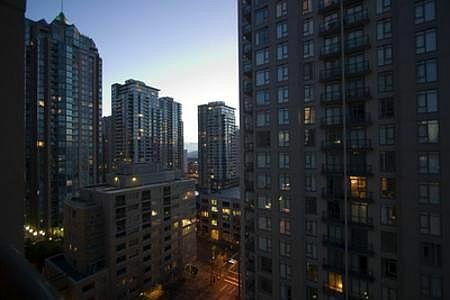 Vancouver BC is one of the world's most beautiful cities and Richards Mews is located right in the heart of everything that Vancouver has to offer during the day and at night. It is an easy walk to Rogers Arena, BC Place, the Convention Center, the Orpheum Theater and the Theater for the Performing Arts. 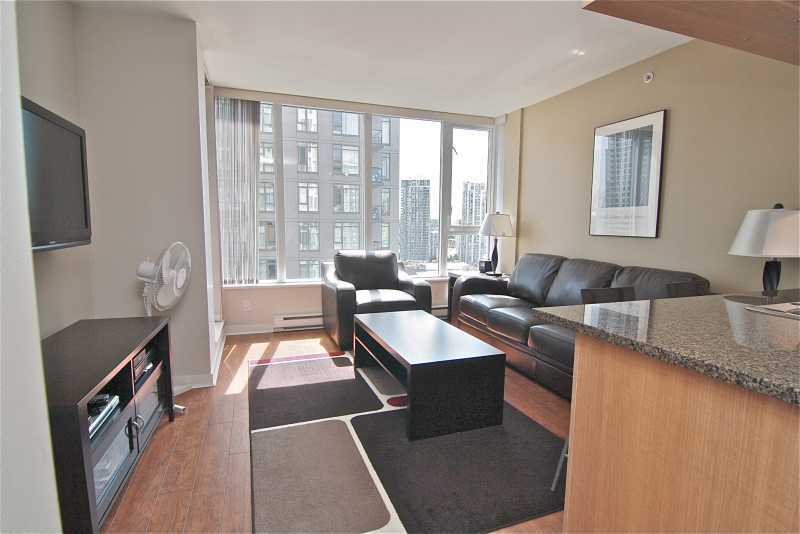 Close at hand you will also find the famous Robson St. shopping district, and the downtown shopping areas. 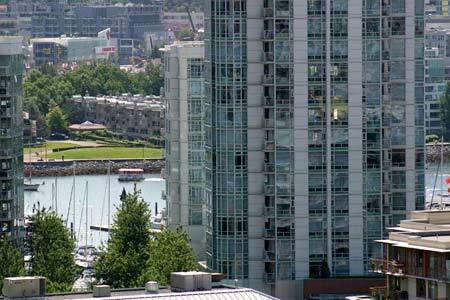 For spending a little time enjoying the outdoors, there is the False Creek seawall which is great for walking, running, biking and extends all the way to Stanley Park. You can also access the ferries to Granville Island Market, walk around English Bay, or visit some of the local grocery stores. In addition, there is a plethora of gourmet restaurants, casual restaurants, bars and movie theaters in the area for your enjoyment. 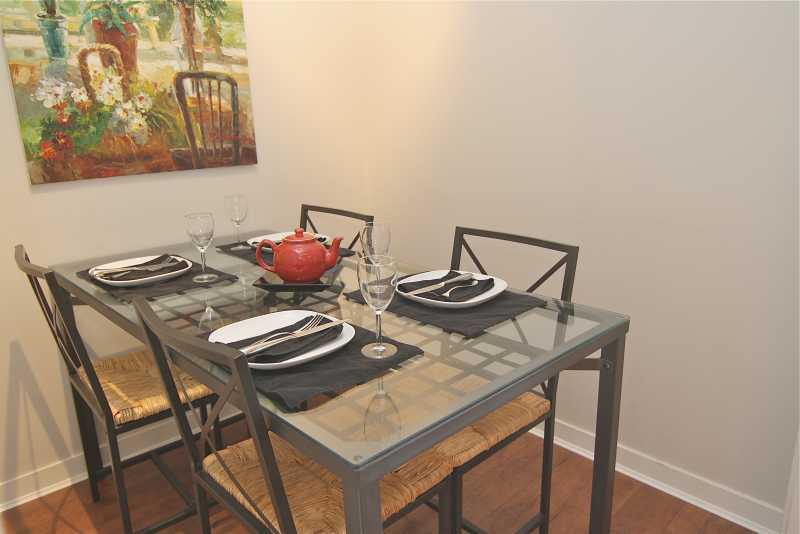 Whether for business or pleasure, you will find Richards Mews a great place to stay. 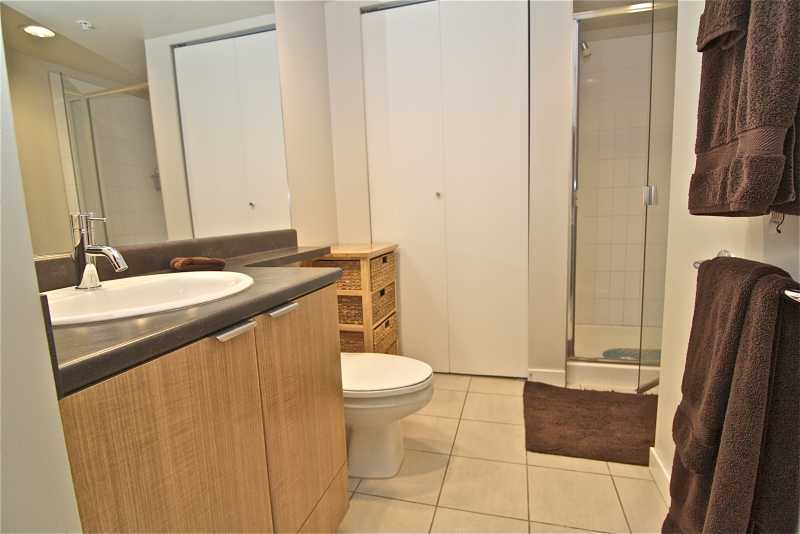 Ein sch�nes Apartment in einem sehr gepflegten und ruhigen Haus in einer sehr angenehmen Umgebung. 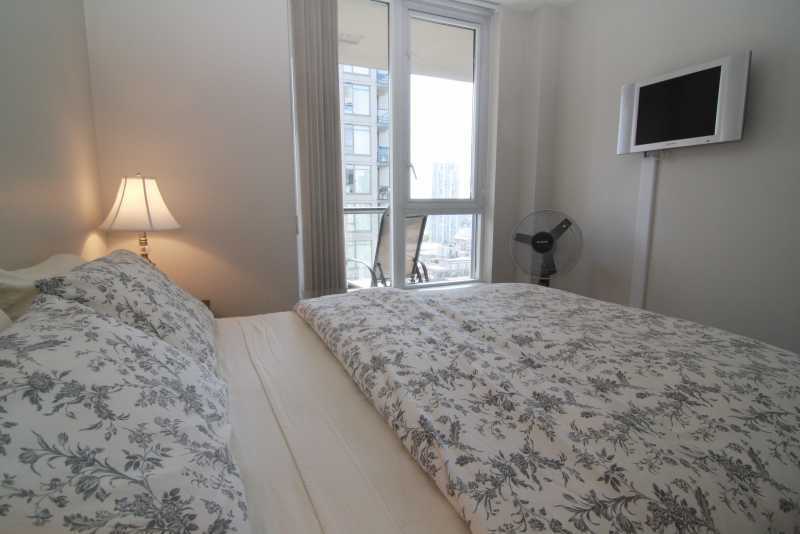 English translation: This is a very nice apartment in a well maintained building located in pleasant neighbourhood. 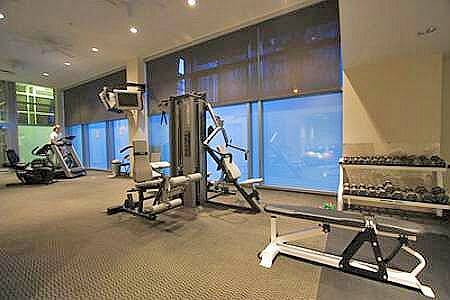 The apartment is well located and within walking distances of different city interests. The greeter was very helpful and friendly, we appreciated her care. The main problem is the warm apartment and lack of air and the accommodations for a third person not comfortable if an adult or teen. The size of the apartment would justify air conditioning as leaving windows open was very disruptive lots of noise in this neighborhood all night and early morning. Very warm apartment. The hide-a-bed mattress was very uncomfortable with springs at the surface of mattress. Our daughter needed to use the couch to sleep. 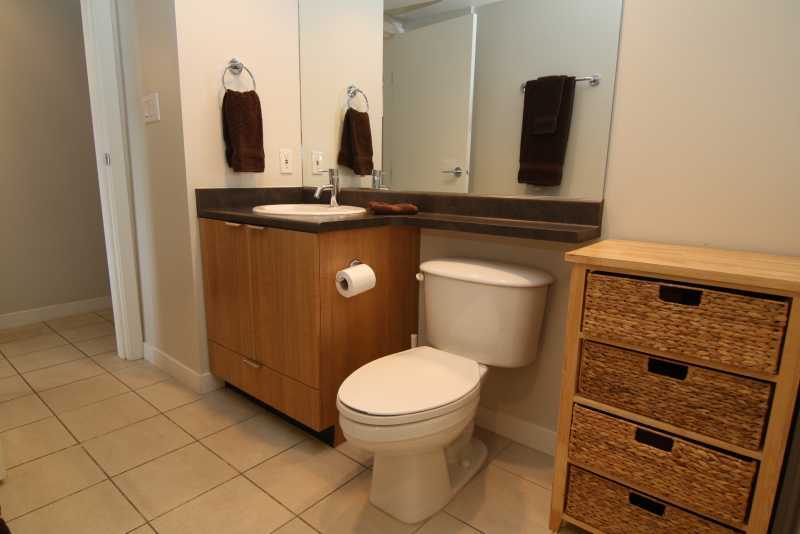 The bathroom was moderately clean and could be improved we found towels with a fowl odour needing to be washed again. Remediation of these issues would guarantee a better value for this stay. 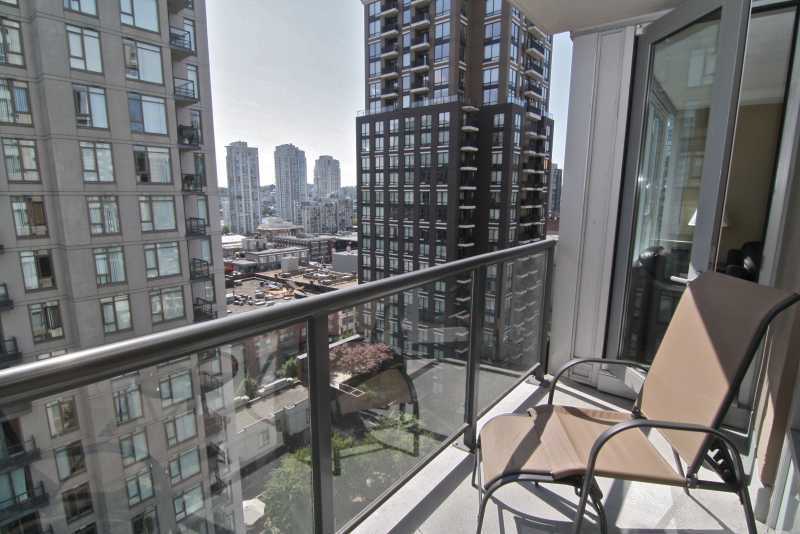 We found Richards Mews to be perfect for our short stay in Vancouver. 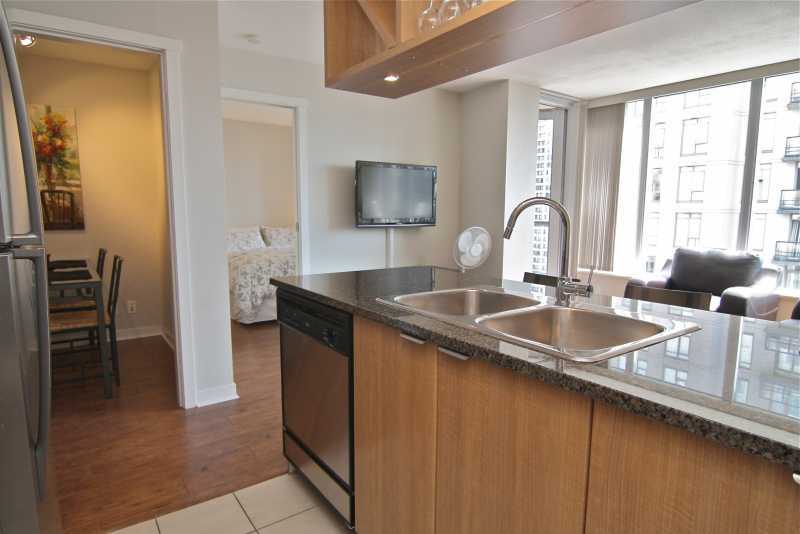 The condo was clean and comfortably furnished, with a well equipped kitchen. 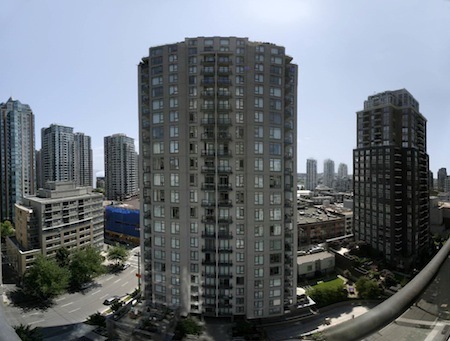 It is ideally located within walking distance of Yaletown's restaurants and Sky Train station and with the shops of Robson Street and Granville Street just a couple of blocks away. Our greeter was prompt on our arrival and showed us all of the facilities that the apartment had to offer. I would highly recommend this condo! Lovely! Great service, great condo. We'll be back! Too many emails - ex I would receive like 3 emails for one payment. It was annoying to have to look through all of the emails i've received from EMR when I was trying to look for one specific email. Felt like it was taking forever to find it. otherwise, it was good. I just wanted to say that I truly enjoyed the condo that I stayed at. Heather was instrumental in making this happen for me. The whole experience was very organized, which consequently made it easy for me to arrive and feel at home. This was my first time to rent a condo, and I have to say that if I'm back this way, I would definitely get in touch with this company again. I would also recommend it. The greeters that were arranged did an excellent job as well. What I loved about the place, is that it had an excellent view, and it was close to everything. Location was great! We could walk or access an excellent public transportation system. Appreciated the fact that the building and the parking were very secure. Our greeter was wonderful and very responsive. The condo was very nice, but really I would not list it as large enough for 4 adults 3 would have been a more reasonable fit. But then for us the price would have been too high, I assume we paid more because of the Olympics. Cost was too high for any other type of stay.